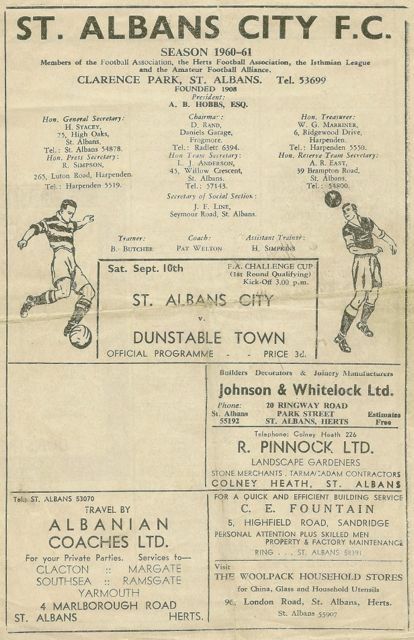 The four-page match programmes, priced at 3 old pence, contained a welcome letter to supporters and visitors, a team list, and a copious number of small panel advertisements by traders who were happy to purchase space.Attendees were not obliged to purchase a programme, but doing so would have assisted with the running costs of the the club's match days. The publication was printed by the Albanian Press, whose home was in nearby Albion Road before its later removal to Camp Road. went to meticulous lengths to design and prepare its products for manufacture, often being returned for tiny alterations to be made to what would become the firm's catalogue illustrations. A selection of design drawings are in the care of St Albans' Museums. This company's advertisements were in most newspapers and family magazines, and there were concession units and stands in many stores. 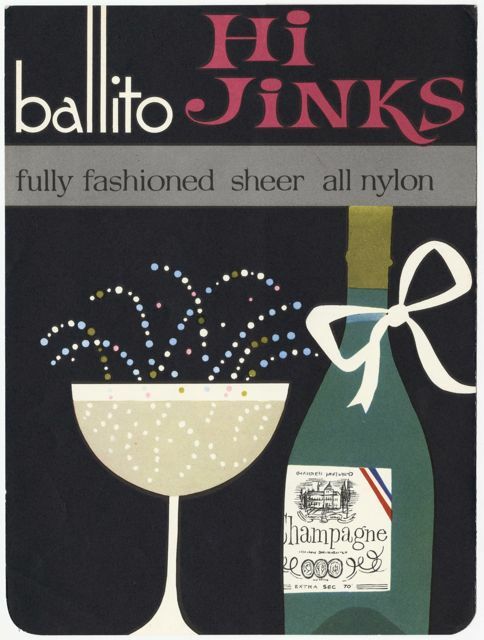 Ballito used associations, typefaces and imagery to appeal to the widest markets. The phrase 'fully fashioned' and the word 'nylon' had an impact in all of its advertising. By 1930 the outward growth of the city made a longer dead time for a beat officer reporting back to the police station in Victoria |Street. 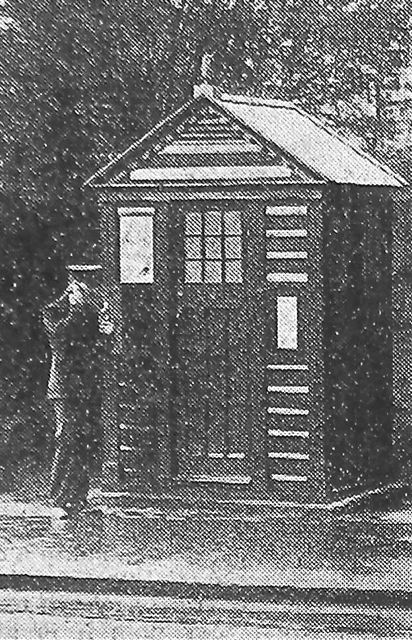 A number of these wooden boxes were installed in the outer areas, where an officer could complete paperwork, report by telephone, as well as take a short break. The public could also use the telephone from the outside, to call the police. These boxes were replaced by brick structures in 1939. 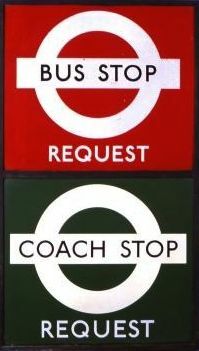 Many independent bus companies had their own arrangements for picking up and setting down passengers, but fixed stops became standard in 1933 when London Transport Country Department took over almost all of the former routes and developed their own. Many of the flags in quiet spots were red, as request stops, although the busier compulsory stops were white. The green flags were reserved for Green Line limited stop services. The early designs were made with enamelled metal with bronze edging strips. To supply the needs of new estates the council first purchased an ex-Army vehicle which it adapted for its new role as a library van. Readers could order titles and select from a fairly wide range of adult and children's interests. The earliest access steps were hardly accessible – or safe – and were later replaced. 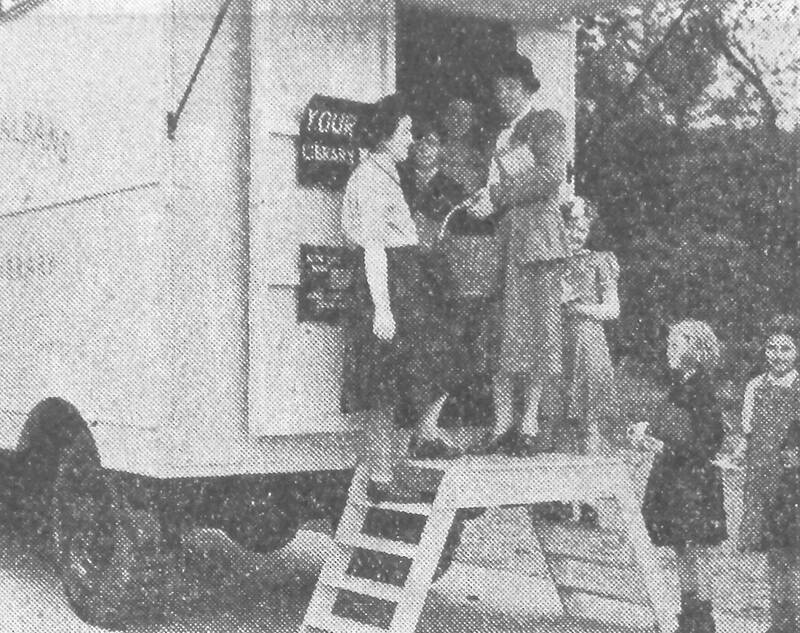 A larger replacement vehicle, designed for the purpose, was acquired in the mid-fifties, shortly before the opening of the council's first branch library at Fleetville. This window, together with a nearby wall plaque and the obelisk in the cemetery, all combine to commemorate the fallen in war; although the plaque only names those from WW1. 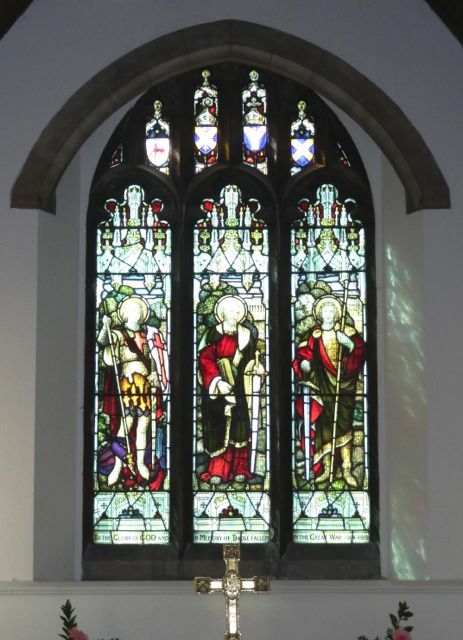 The window began life at the back of the church, but more recent internal re-arrangements mean that the window now finds itself behind the alter without ever having been moved. 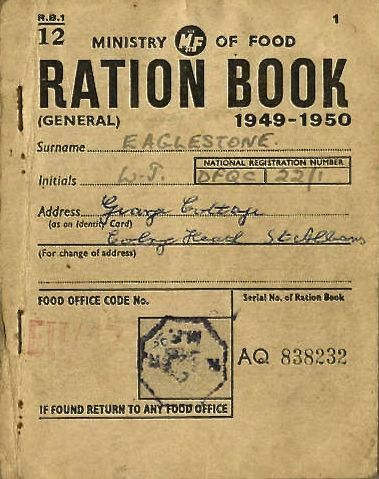 Each adult and child required a small collection of ration books during and after WW2, to enable fair distribution of products which were in limited supply. The books contained dated coupons which were cut from the page by the retailer. The books could only be replaced on production of an identity card. Families restered with particular shops, which were supplied according to the number of registered customers they had. 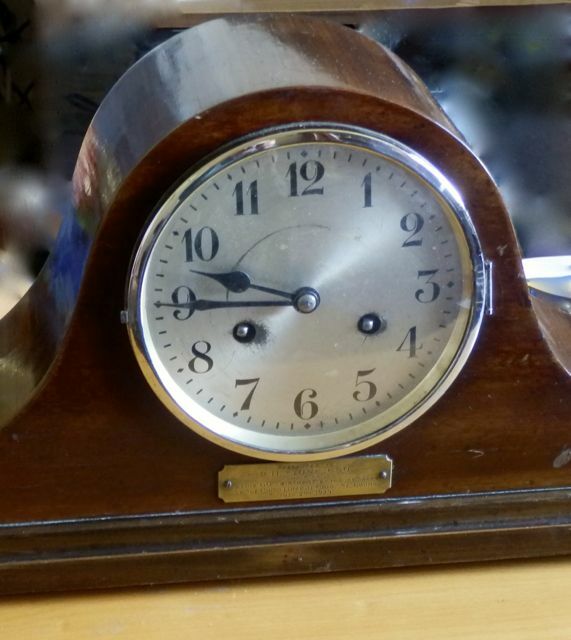 A considerable number of awards, in the form of clocks, watches or other objects, will have been given to residents working in local firms and other organisations, either for long service or for some brave action. In this particular example the citation reads, "Presented to P H Stone Esq, Chairman, on his 60th birthday, by the members of the Camp Liberal Club, St Albans, July 29th 1929." Cunningham Hill Farm, later becoming part of Hertfordshire Farms, and Oakley's Farm had their ow branded bottles. This example represents a much wider group of local dairies which distributed their milk on dedicated rounds, sometimes twice each day. Other farms sold their products to producers like the St Albans Co-operative Society in Burleigh Road. 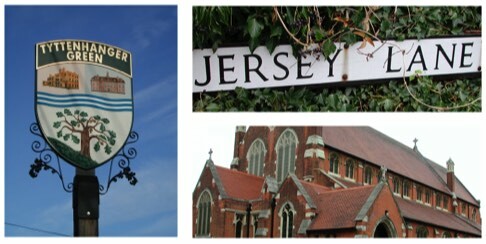 The district was also well served by richer Jersey milk from Jersey Farm and Guernsey milk from Cunningham Hill. supplemented their newspaper displays. These panels appeared in a number of street locations along main roads and at the railway station. 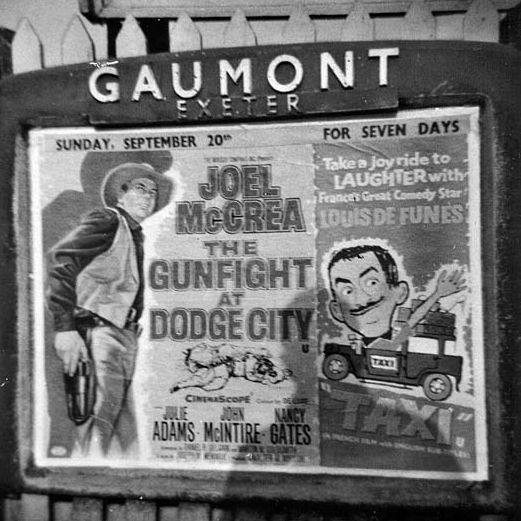 The Odeon panels were painted red, while those for the Gaumont were blue. This example is from Exeter in 1959, but at one time there were many in St Albans, including along Victoria Street, Hatfield Road and Sutton Road. From a modest Hatfield Road shop is run an impressive bespoke tailoring business by Geoffrey D Golding. 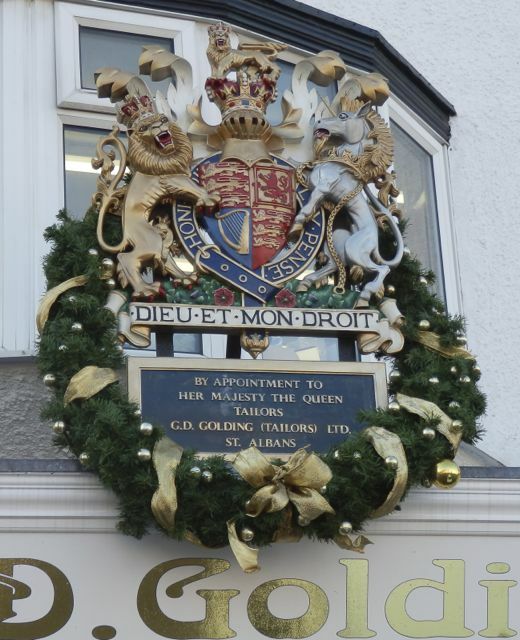 Above the fascia is fixed this impressive armorial device announcing "By appointment to Her Majesty the Queen, tailors to G D Golding Ltd, St Albans." When you see this you know something very special is happening. Mr Golding employs a number of tailors to produce garments of extremely high quality. Friederick Sander for his orchids, and Douglas Hobbs of Tractor Shafts, neither company extant, join the three people from the East End of St Albans who have received such royal appointments. made for the inspection of pipe runs in the gardens and at the junction with the public sewer in the street. This example is at a house built by Frank Toogood in Breakspear Avenue. The Society operated a number of local shops, but new estates grew in advance of shop provision. The company purchased specially designed vans as mobile shops, in which customers used a basket to select their own items – still a novelty in the 1950s. A delicatessen counter was behind the driver's seat, but this was the time before large frozen food cabinets. The driver announced his arrival by sounding the vehicle horn. 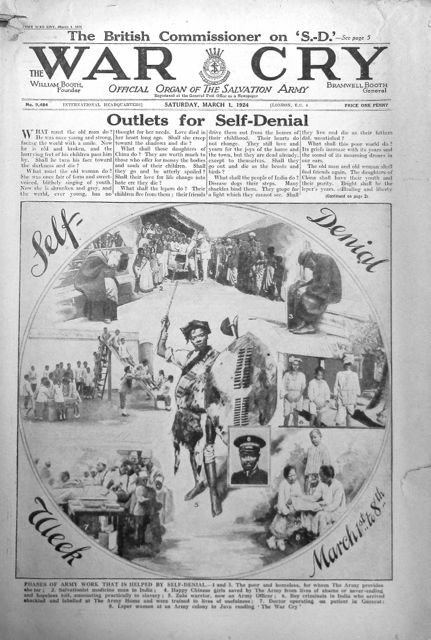 The Salvation Army printed its weekly newspaper at the former Campfield Press, dispatching many tons of copies via the adjacent railway to destinations throughout the UK. First published at its Whitechapel home in 1879, the newspaper was supplemented by Junior Soldier. War Cry was sold at meetings, on the streets and in public houses. Before WW2 its sale price was one old penny (0.42p). Very few people were aware that the firm of Howard Grubb Ltd had secretly moved into the Smith's Printing Agency building during WW1, to develop periscopes for submarines. The government had purchased the printing works to ensure the work could continue even if struggling Smith's closed. 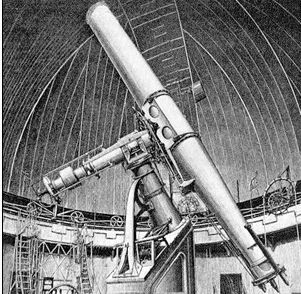 After WW1 Grubb's returned to what it knew best: the manufacture of high quality telescopes. Many remote houses survived without electricity or gas, even after the end of WW2. 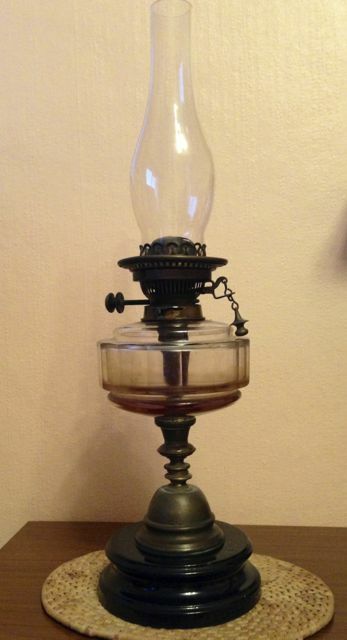 To enable Nash Homes to take over the Marshalswick farm homestead as office accommodation, the outgoing tenant presented a number of possessions to friends and acquaintances, including this oil lamp, which had played its role in lighting a room at the Marshalswick Farm homestead. The Beaumont Avenue junction with Beechwood Avenue and Hatfield Road was always the cause of many accidents and near-misses. The main safety issue was a blind view to the right from Beaumont Avenue, and vehicles leaving leftwards from Hatfield Road had no advance warning either. 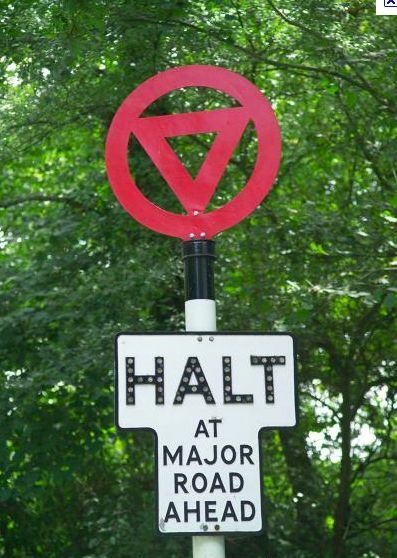 This design of sign was a rather late arrival to the old-style Highway Code, and it seemed perfect for Beaumont Avenue. There was much discussion nationally and locally about the use of the word Halt instead of Stop. Where the St Albans Organ Theatre is situated in Camp Road, its founder, Charles Hart, used his old builders' yard to store an acquired collection of children's fairground rides, and later, fairground organs. 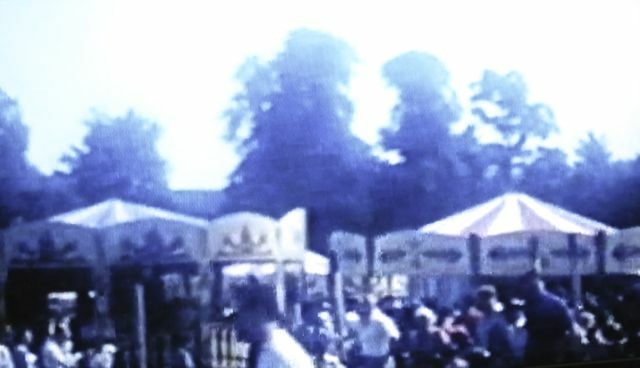 He visited many places each season during the 1950s and 60s with his Kiddie's Funfair. Most St Albans children of the time will best recall summer holidays at Verulamium Park where Mr Hart and his assistants entertained thousands of youngsters. 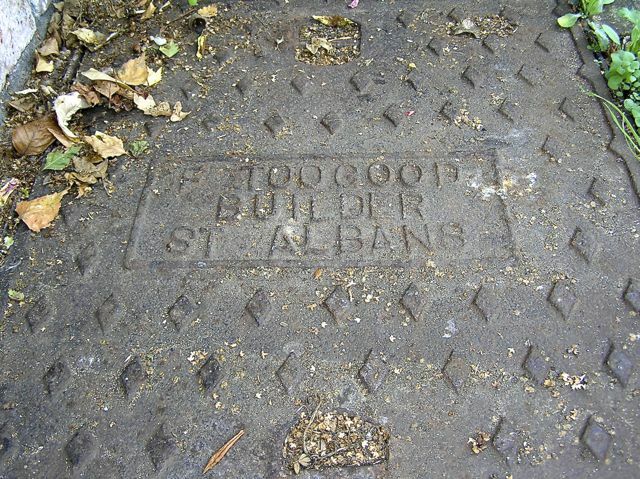 This example of an object related to the eastern districts of St Albans is undoubtedly ephemeral. It is, nevertheless, unique in celebrating an aspect of Fleetville at one of the city's entertainment events of the summer. An object more associated with the seaside, it is also included in this collection as the most temporaryof all the objects. 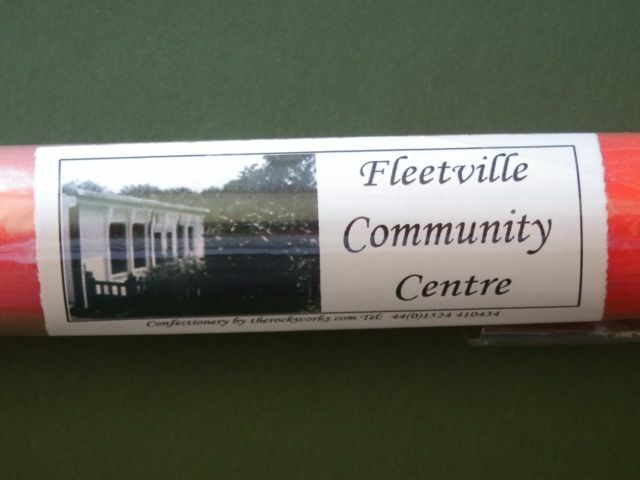 When the history of 2011 is being written it is doubtful if any sticks of Fleetville rock will remain!